When I woke up this morning, I got a notification saying, I "exceeded my data usage." 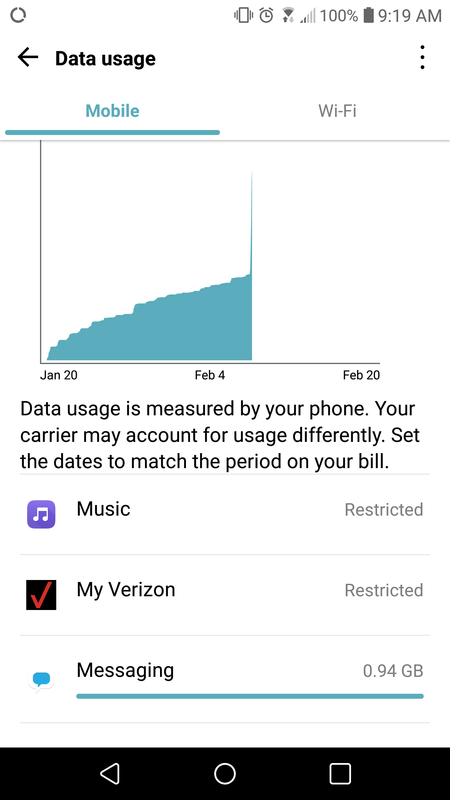 When I tracked the data usage of my phone in "Setting," it was caused by the FreedomPop app. I see a sudden spike in data usage today due to the mysterious FreedomPop app issue. When I checked the record of my data usage on the account, I see mysterious hundreds of 2 MB packets from 3:28 am until 7:15 am this morning. I would like to know why it happened, and get my data limit back. We certainly understand that you find it impossible for our app to have used up that much data. Please be aware that Freedompop is a VOIP service in which we use data or over IP communications to give your device it's calling and texting capabilities. The tool we use to convert these data packs in calls or texts, as well as pure data, is our messaging app which is why you will always see our app using data but any application, call or text that you send using data, will be accounted for by your phone from our messaging app. 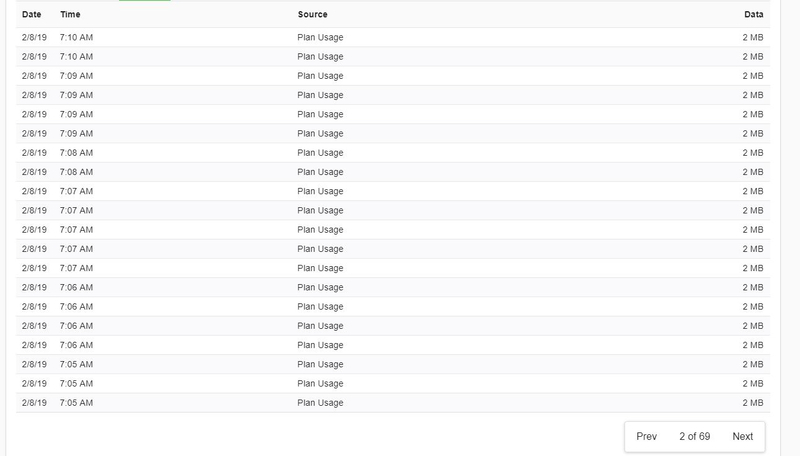 We recommend using our Freedompop online portal to check on usage accurately. Also, the data reports online could be delayed up until three hours. If you were not using the device at the time the overage took place, it is possible that the device had automatic app updates enabled or data was spent by another app on the background. Has there been a deeper investigation? Obviously, I do not know what exactly your app is doing in the background. Your explanation is very general. I was certainly not awake during the period of usage. Also, I am expecting to get the reinstatement of lost data usage. I think there is still a bit of a misunderstanding. Any application you use data with, because our service is VOIP instead of most communications which take place on the cellular network, will not accurately show the report on the application itself. Instead, because our app is the tool your device needs to connect to our network and allow you to use data, will show as if it was our app that spent it. Just as the disclaimer from your usage that appears on the screenshot you sent us above, "Data usage is measured by your phone. CArrier may account dor usage differently". We are those type of carriers, which document or keep track of usage differently than your phone does. For us to investigate whether or not it was a but, you will need to find from your online profile usage records and not your phone's usage app, the times and amounts so we can then look into our reports for bogus activity. The data usage measured by my phone may be different as you said. However, it correctly shows which of the apps used the most MBs of data. In this case, it was the FreedomPop app. The graph from my phone and the "online profile usage records" from FreedomPop (please refer to screenshots from original post) also support my point that there was a sudden hike in data usage due the FreedomPop app today while I was not awake in the middle of the night. The "online profile usage records" which you are referring shows me multiple pages of 2 MB packet used from 3:28 am this morning until 7:15 am today. I already attached the "online profile usage records" I found from the FreedomPop site to my original posting. Could you perform the investigation for the bogus activity which you are referring to?